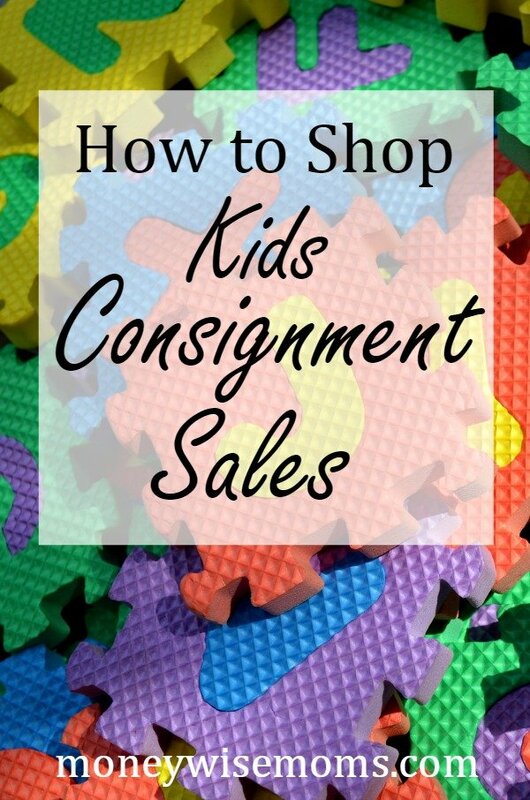 Have you ever been to one of those HUGE Kids Consignment Sales in your community? Learn how to shop there. With spring on the horizon, we’re heading into prime season for community Kids Consignment Sales. You’ll start seeing the announcements on Facebook and the signs up around town soon. Are Kids Consignment Sales worth the drive, plus getting up early on Saturday morning to deal with crowds and lines? As a mom of twins (my identical girls are about to turn 10), I’ve both shopped and sold at these sales for years. Here are my tips & tricks. All over the country, kids consignment sales are held by mothers of multiples clubs (like my local twins club), churches, and Moms’ Clubs. Look for fliers at your church or preschool, or try Googling “twins club” and “consignment sale” to find one in your area. Most are held on Saturday mornings, while others run for several days including Thursday and Friday evenings. 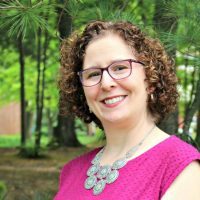 One of the best buys at consignment sales are formal wear like fancy dresses and suits that were only worn once for holidays like Easter, weddings, or family portraits. You’ll find practically-new dresses, button-down shirts, ties and pants in amazing condition. I’ve also had good luck finding holiday tees only worn for one season for much less than you’ll pay new. With the spring sales, don’t forget about swim accessories like coverups, floaties, flippers and more, and weather-specific items like rainboots. These big sales are also a great place to find low-priced baby gear like swings, strollers, high chairs, Pack & Plays, cribs, changing tables, and more. Most sales prohibit the sale of car seats and any recalled items, so carry your smartphone with you so you can look up products on the CPSC Recall List. Outdoor toys are also a great buy, and shopping a huge sale is so much easier than trying to track down each individual item used on Craigslist. Here, it’s all in one place! Before you head out to a huge consignment sale, think through what your child(ren) will need for the next six months and make a shopping list. What phases are approaching–high chair? Potty training? These sales are typically seasonal (spring has spring/summer clothing, fall will have fall/winter). Then prioritize your list, and head to that section of the sale first. If you really need a double stroller, for example, go there immediately upon entering the sale to get the best selection. Shop for big-ticket items first–like bikes, outdoor toys and furniture–before clothing and toys. Also check out the sale’s web page to see what their policies are and what forms of payment they take. If you’ve never been to one of these HUGE sales before, you’ll be astounded at the amount of stuff for sale, the great low prices, and unfortunately…the crowds. If you really want the best pick of the merchandise, you’ll need to arrive before the opening time and wait in line. Be prepared to enter the sale with a rush of people. If you’re new to these sales, consider going in an hour or two after opening time. The aisles may be easier to navigate, but the checkout lines will be long. It’s just part of the experience. For everyone’s sake, don’t bring your kids. Most sales do not allow strollers inside, and preschoolers are hard to keep an eye on in the chaos. You’ll also want to bring a large shopping bag or laundry basket to carry your merchandise. 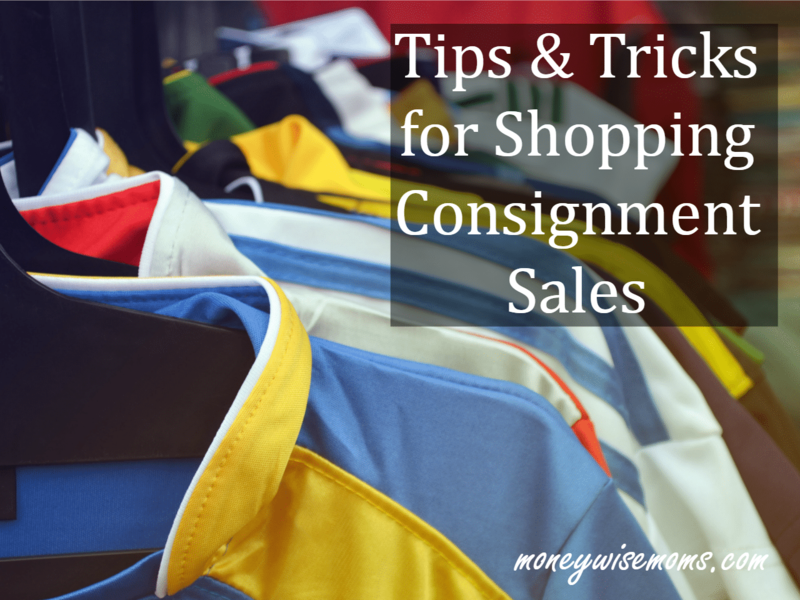 What are your tips for shopping Kids Consignment Sales? Linked up to Thrifty Thursday at The Thrifty Couple.